Commercial establishment, located in the city centre of Lagos, Algarve. Lisboa | Refined restaurant and bar. Restaurant/bar located in the heart of the city of Lisbon, Portugal. Algarve is the most visited and one of the most developed in the country. Our mission is to provide a high-quality real estate service to foreign investors who wish to buy or sell real estate in Portugal and ensure in the whole process of buying and selling as well as legalization of investors. 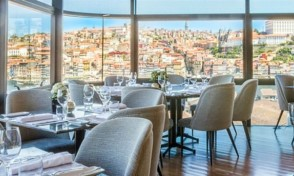 The Blini is a restaurant with author cuisine for lovers of seafood and fish, with the best views over the city of Oporto, with private parking located 30 meters and open 24 hours a day.